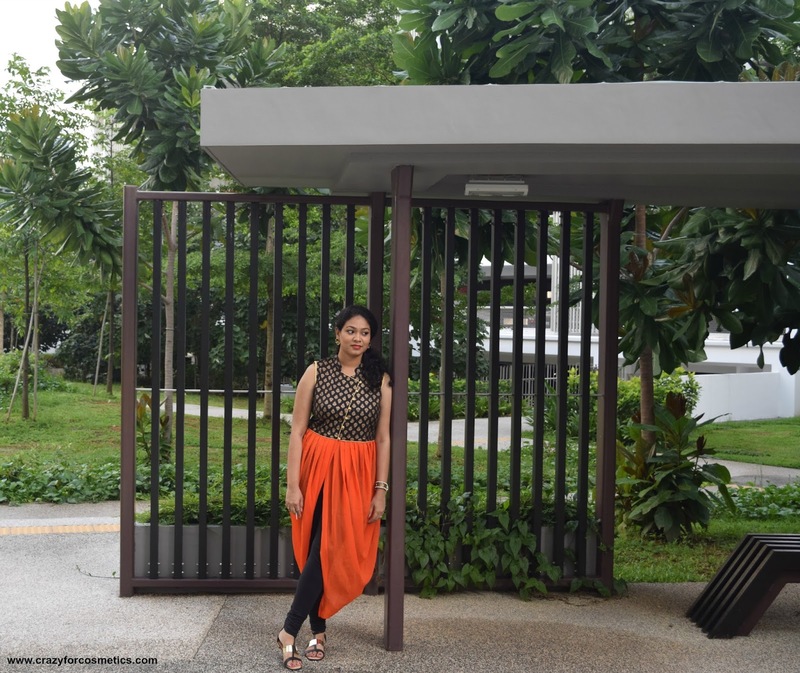 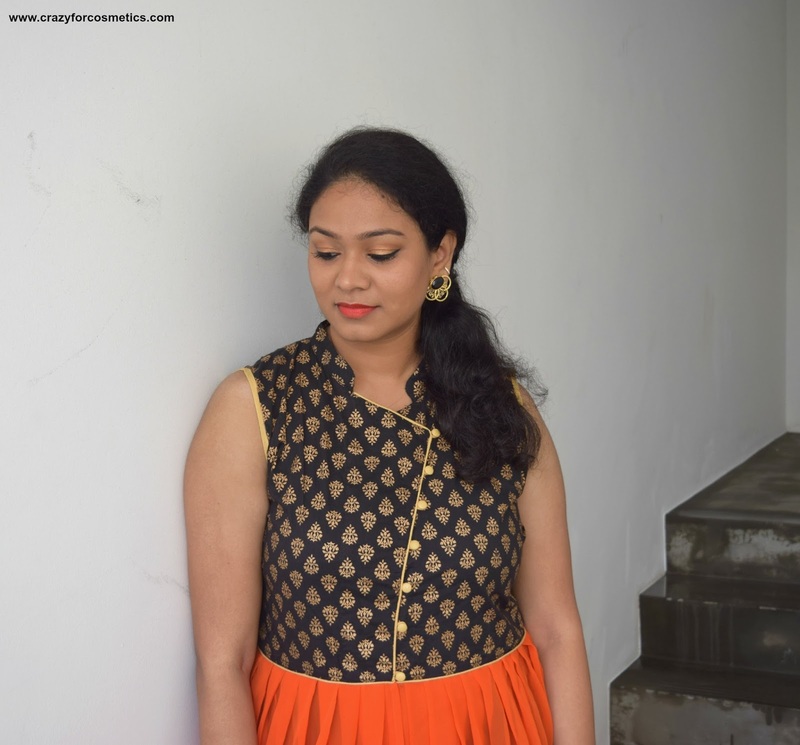 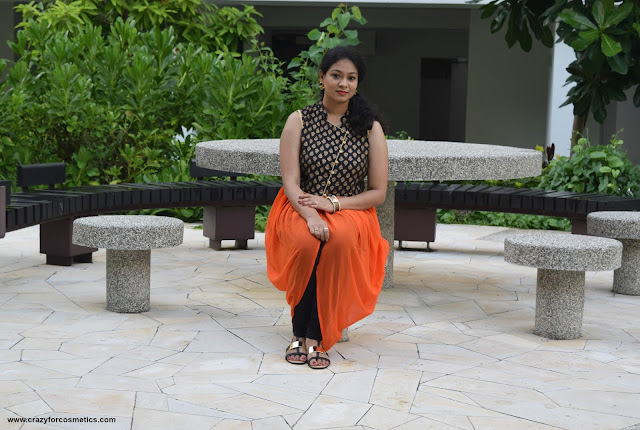 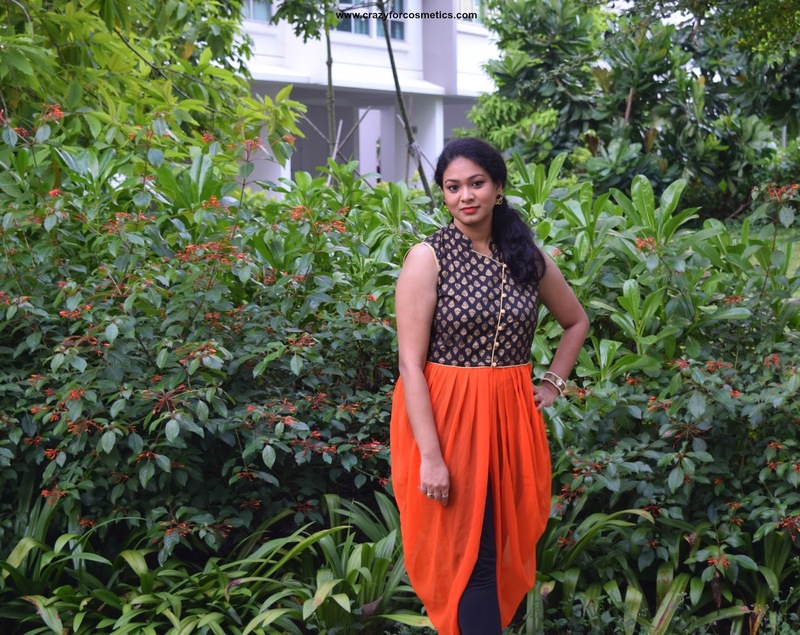 The outfit was so comfortable to wear and it was thin which suited the Singapore weather.I loved the Orange & black color combination a lot and I felt it suited me too.Though it was pleated , it did not make me look heavy at the hips which is something I always fear. 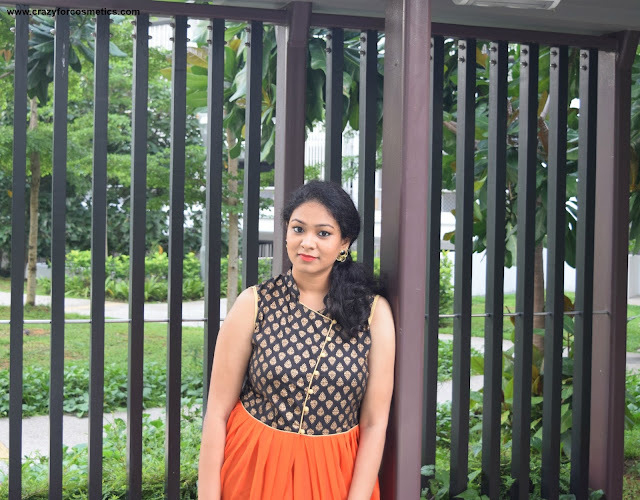 I wish I had ordered more and I look forward to order more dresses online. 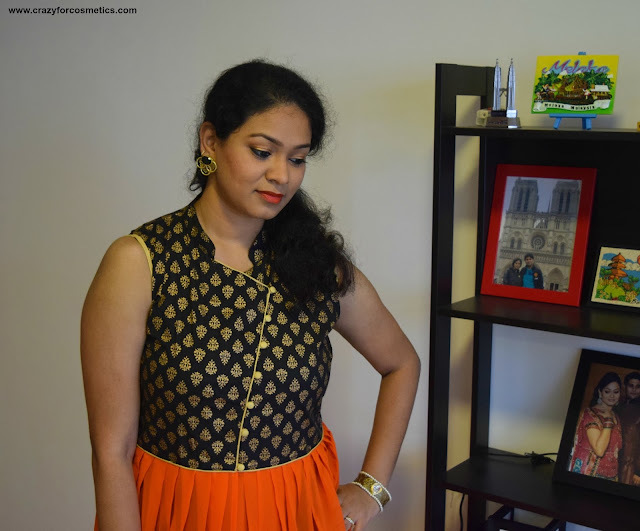 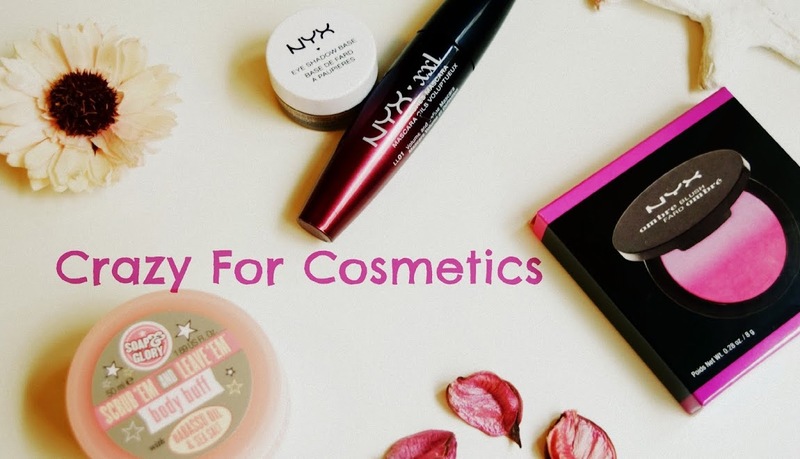 I got it at INR 1300 after discount & I feel it is totally worth every penny I spent.